I remember the first time I tasted kettle korn, which was years ago. We were at a craft fair (no I'm not really into crafts), but it was the 4th of July and at one of the booths a gentleman was stirring a huge kettle of corn. We were intrigued and since my husband and I both love popcorn we bought a bag. We fought over every last kernel and have been hooked ever since. What makes kettle korn so addictive is the combination of salty and sweet. Most palates loves to be teased like that. But of course, being the chef and frugal person that I am, I was not about to resign myself to a lifetime of purchasing this korn. I had to figure out how to make it myself. So the quest began and after a few less than perfect batches I discovered what I think is the perfect combination of ingredients. In fact I prefer my recipe to many store-bought brands. This small batch makes just enough for my husband and I and should be made in a very small saucepan (about a 6 cup pan, no bigger). If you double the recipe increase the pan size. Directions: Combine oil, sugar and popcorn in pan, cover with a lid and take to a screaming hot burner. Set it on the burner and move it gently back and forth to keep the kernels moving. Continue that action even as it pops. As popping slows down and then stops, remove from heat and transfer to a bowl. It is at this point that you sprinkle it with salt and toss it with a spoon. Taste the korn. If you need to add more salt, do so. Remember that it is the contrast between the two that makes this good so don't be too skimpy with the salt. 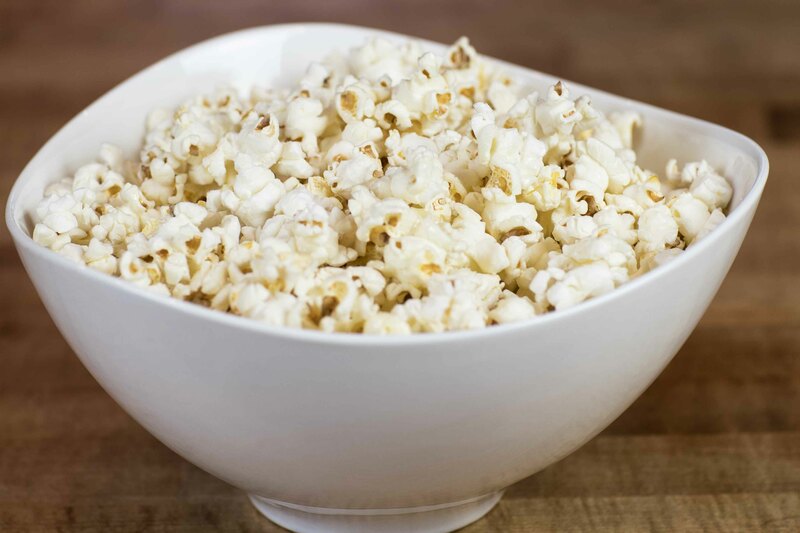 Popcorn tip: it is so easy for kernels of corn to get "old" and lose their poppability. Here's the link to my radio website with some great information on rehydrating those kernels because the good news is...they can be revived!